Karla Cruz is the proud owner of The Eyeconic Lash and her love for making women feel strong, empowered, and beautiful is why she immersed herself in the beauty industry. She has provided elite services for over 10 years. Being a master lash stylist, esthetician, makeup artist and laser technician. Karla’s love for beauty started at the crisp young age of four when her mother would apply makeup for her dance recitals. She just loved having lipstick on her lips and rouge on her cheeks, even if it was just for one night. It made her feel like a star. Her love for makeup continued through her teen years when she would see music videos of Madonna, Janet Jackson, Paula Abdul and Boy George. Their great hair styles and makeup made her realize that the beauty industry was where she needed to be. 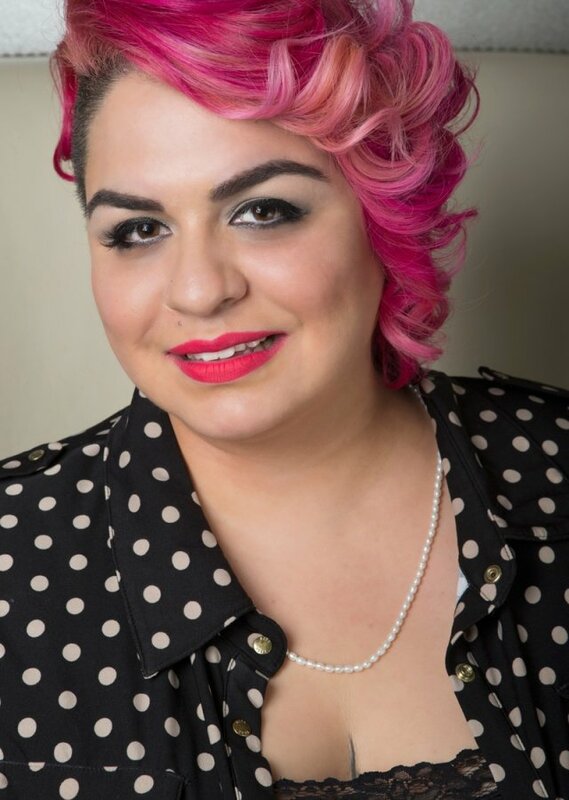 Karla Cruz has been in the beauty industry for more than 10 years. In 2006 she began her career as a self- taught freelance make-up artist. She then furthered her career at The Paul Mitchell Partner School where she obtained a license in skin therapy in 2009. With eyelash extensions being introduced to the industry, Karla took advantage of this exciting new opportunity and was certified with not one, but two lash extension companies. This is where her love of eyelash extensions began. Enhancing any woman’s eyes and facial features with lash extensions was an exciting service that she just had to be a part of! Karla knew her certifications went hand in hand, which allowed her to offer more to her clients. In 2013, she also obtained certification as a laser technician at Texas Laser Institute. Karla recently obtained a certification in the fabulous new technique of Russian Volume Lashes. In September of 2015, she became certified in the newest semi-permanent eyebrow tattooing technique called 3D and 6D micro-blading also known as brow embroidery. This technique creates the most realistic, natural, semi-permanent eyebrows you can imagine. Karla offers services to her clients in every aspect of beauty. Prior to owning The Eyeconic Lash, Karla obtained countless hours of experience by working for reputable lash studios and held a Lead Esthetician position at My Choice Spa and Wellness Lounge. Karla also had the opportunity to work as a makeup instructor at Tint School of Cosmetology and Makeup. For all you lovely Eyecons, your appointment time means a great deal to us and we aim to provide high quality services in a timely manner. At Eyeconic Lash Bar we ask that you please provide a 24hr cancellation notice, if you need to cancel your appointment. You may do so by calling or by going to our online scheduler and cancelling your appointment. If you are unable to cancel your appointment 24hrs before or if you no show your appointment you will be charged full price for your service.